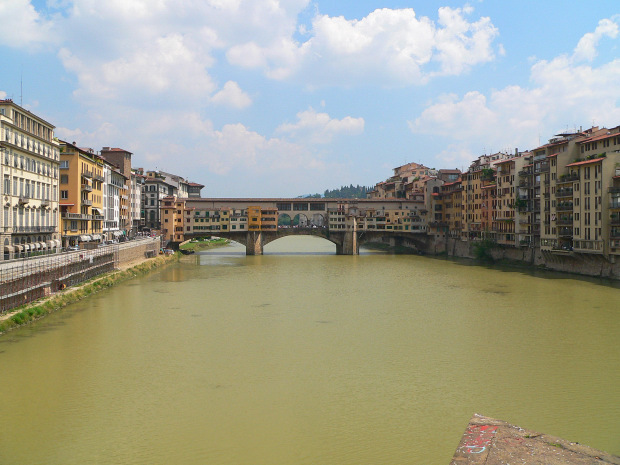 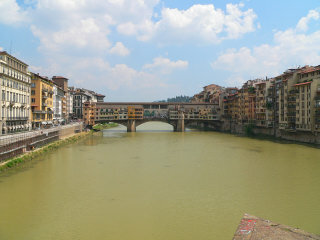 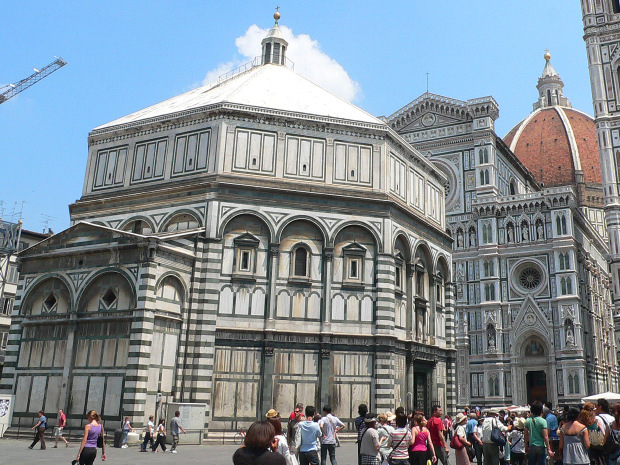 Trip to Florence (Tuscany), hiking between the monuments, Giotto bell tower, Ponte Vecchio, Signoria square, Santa Maria del Fiore. 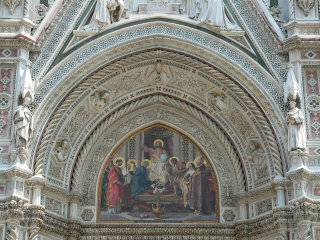 Pictures, images and information. 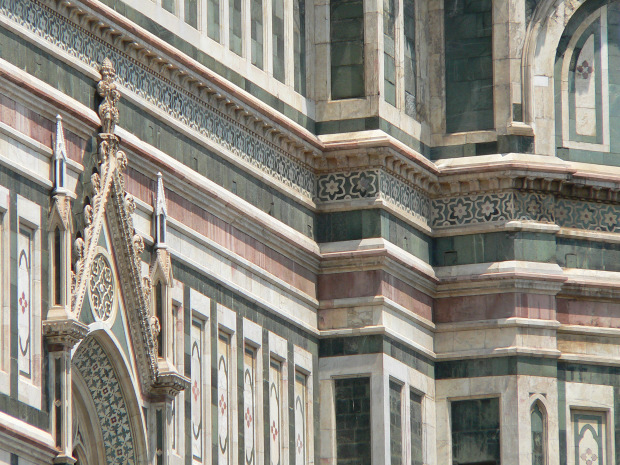 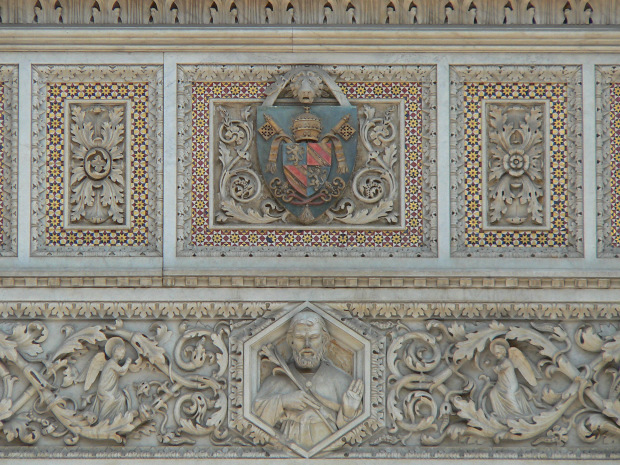 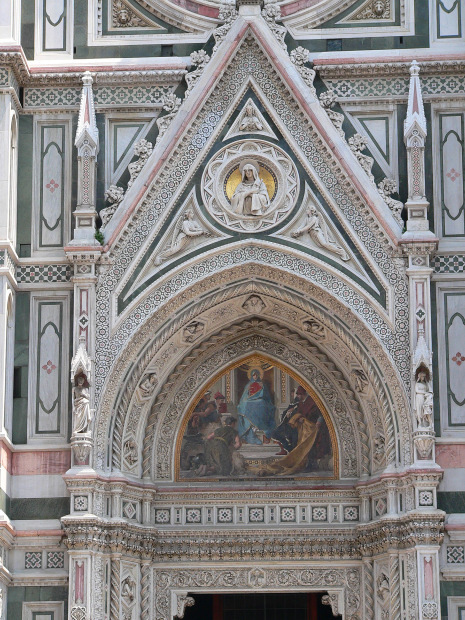 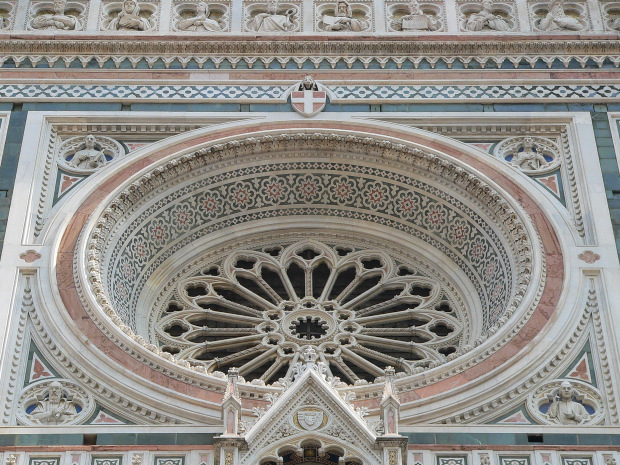 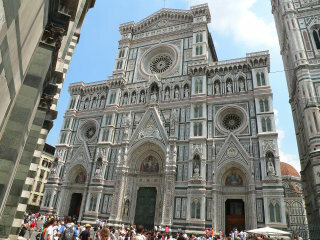 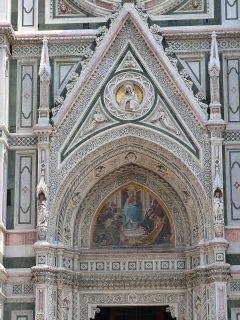 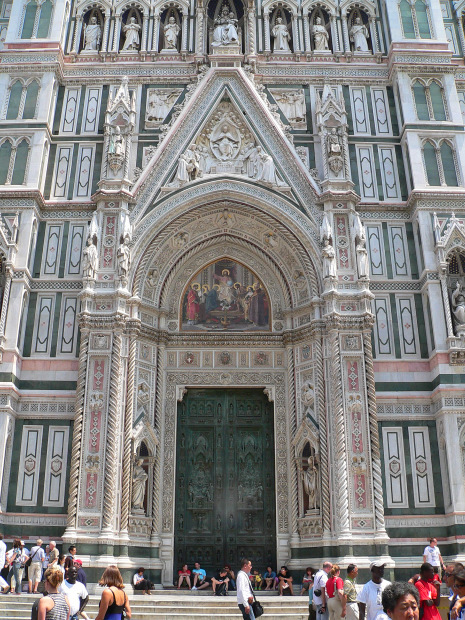 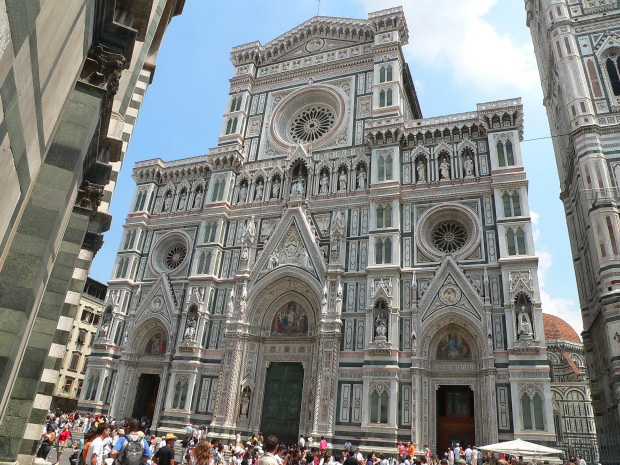 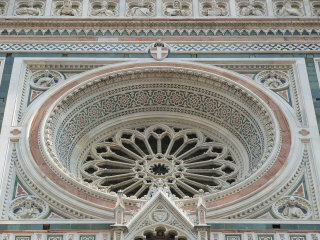 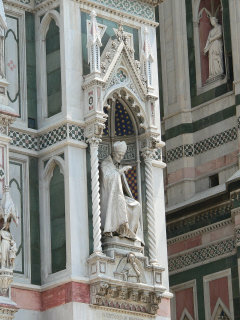 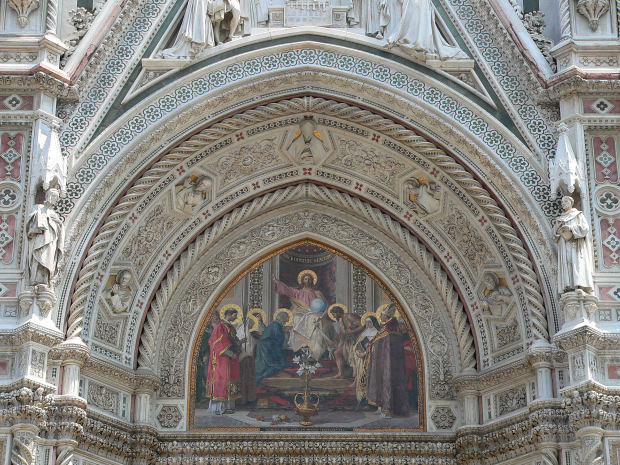 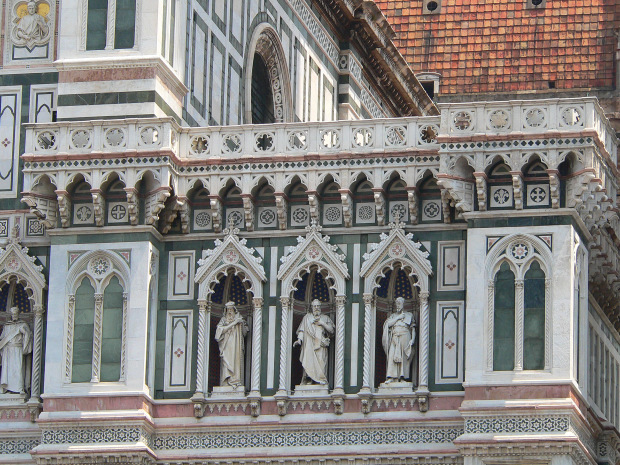 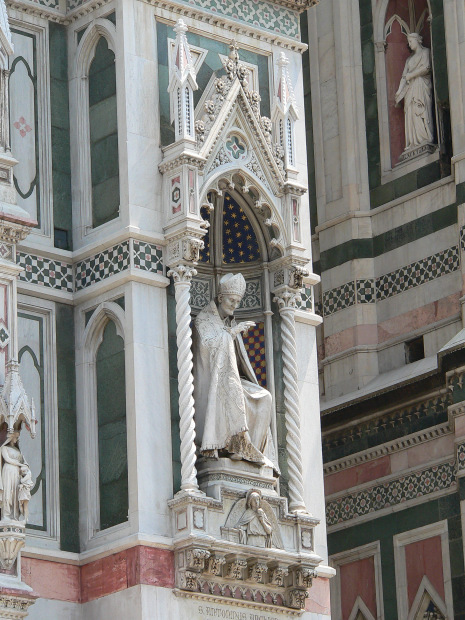 Santa Maria del Fiore is the heart and the symbol of Florence. 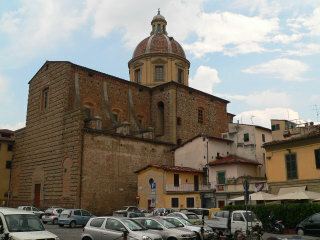 The complex includes a baptistry, the cathedral and a bell tower. 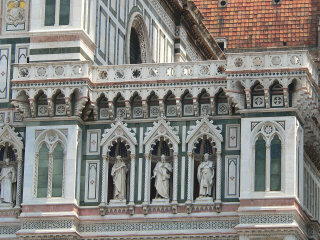 The realization was directed by Giotto and Brunelleschi. 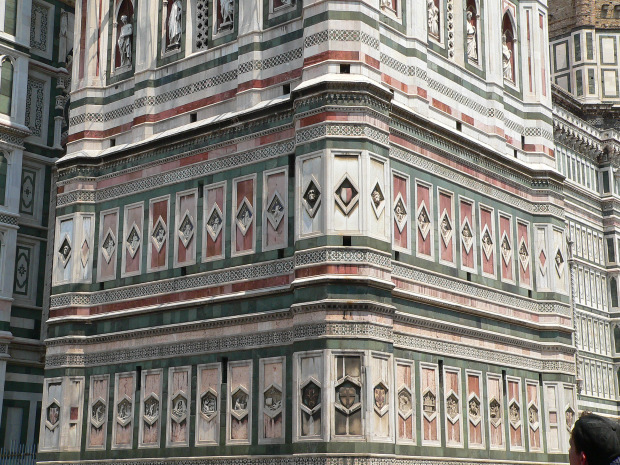 Because of the huge size of the monuments, built in a relatively small place, we had to use a wide lens that has produced some degree of distorsion. 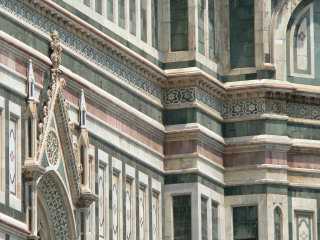 Some closeup on the cathedral's external walls. 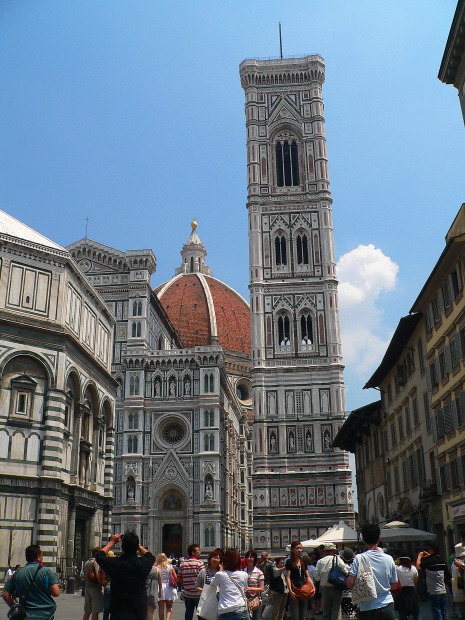 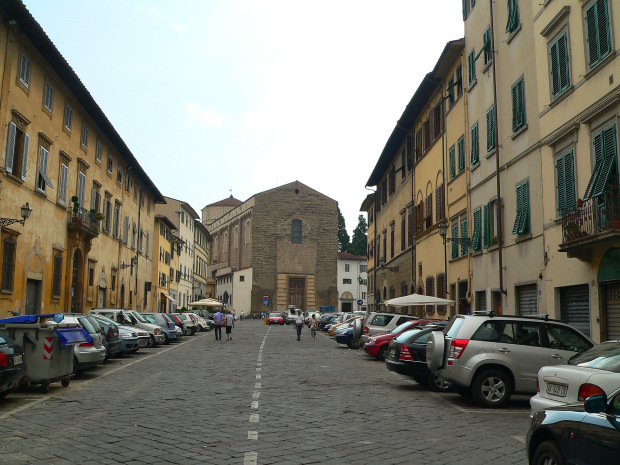 If you are looking for a taxi from Florence airport to Florence or to any place in Tuscany, Florence Airport Transfer offers low cost Florence transfers with meet & greet service and direct drive to your destination. 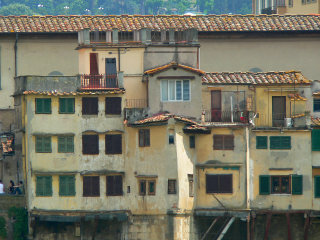 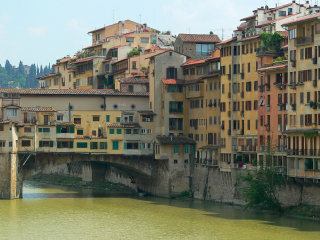 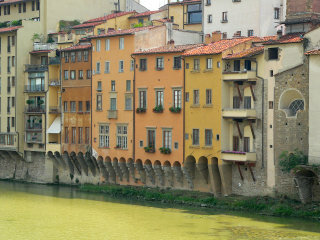 Day tours from Livorno cruise port to Florence, Pisa and Lucca are offered also. 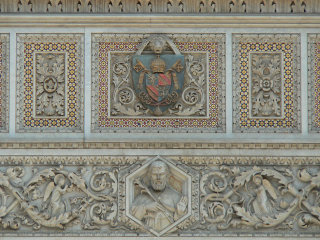 A particular on the rose window onto cathedral's front wall. 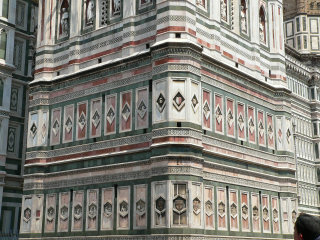 Two closeups on the magnificent Giotto bell tower, 85 meters high and made with white, green and pink marble from Tuscany. 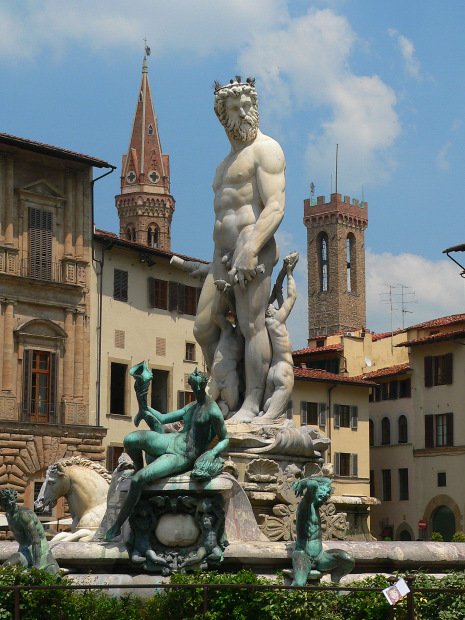 The fountain of Nettuno, in Signoria square in Florence. 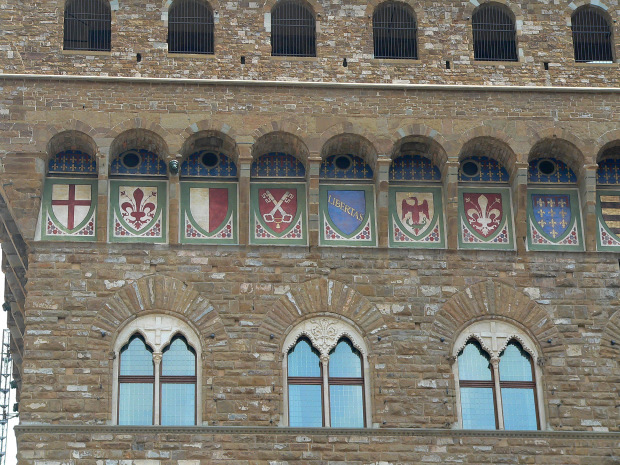 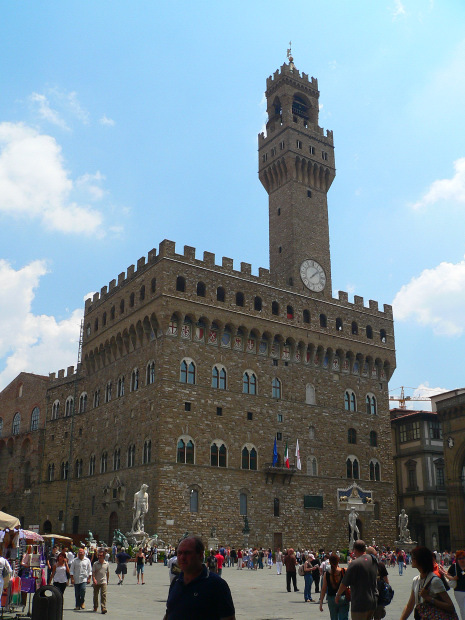 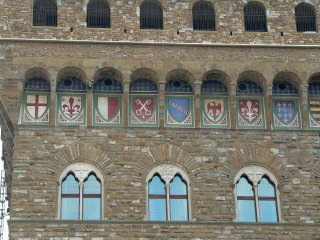 The palace of Signoria, in the middle of Signoria square. 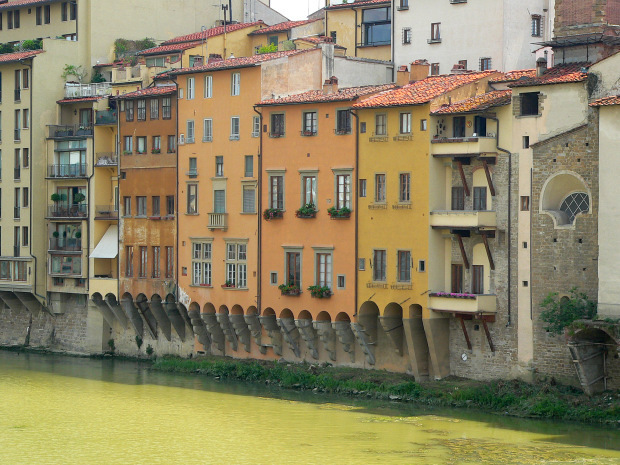 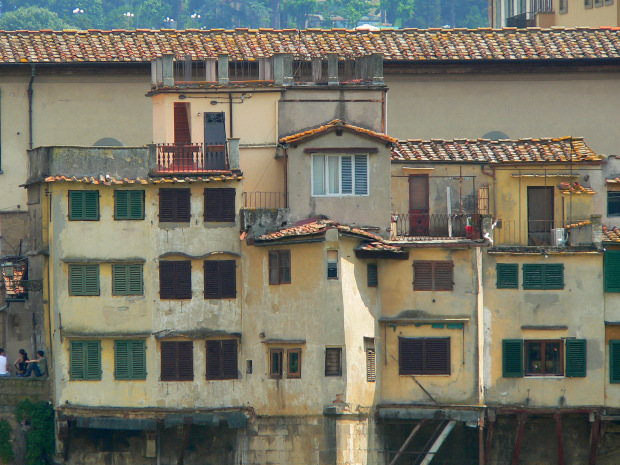 The Arno river running in the middle of Florence, with the picturesque homes along the sides and the famous Ponte Vecchio (old bridge). The church of Santa Maria del Carmine and another nice church just a few steps from Arno river in central Florence.